Do you watch foreign movies? Film stranieri, Mi Piace! Ako ay nanonood ng mga dayuhang pelikula. I love me some foreign movies. You cannot compile a foreign film list without this movie. You just can’t snob it. I air-quoted “technically” because English is actually my second language. According to my realible friend wiki, World cinema is a term used primarily in English language speaking countries to refer to the films and film industries of non-English speaking countries. I’m originally from Philippines and arrived in the U.S. about 8 years ago. Speaking of imaginations, there is another movie that brought again the fullest, most impressive use of imagination into storytelling. Pan’s Labyrinth is not my most favorite foreign film. It IS the best foreign film for me. It’s gotta be one of my top 3 all-time best movies. I think that’s enough description. You just gotta see it to “believe” it. Can one scene ruin a good movie? I don’t think so. Can the quality of a movie be based on one scene? Watch Cache. All images are taken from Yahoo! Movies. Those are my top favorites. Tell me yours so we can compare. Also, can you tell me what I’m missing? I’ve got 5 out of those. 🙂 I’m glad you included Crouching Tiger ’cause that’s probably the movie that was so quintessentially Asian that it became sooo cool and changed how action movies are done. Tom Cruise in MI2 had nothing on Chow Yun Fat! Haha. You talking about Matrix. Hehe 😀 What are those 5? Ah, yeah. The Matrix yung sa MI2. 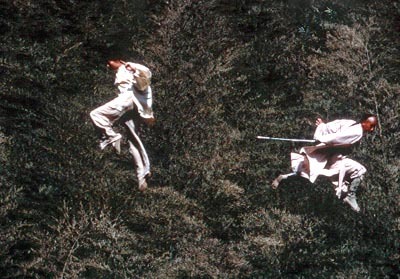 But the light-footed almost impossible warrior stunts became a ‘Hollywood’ staple na din. The 5 I was able to watch: Y Tu Mama, Amelie, Beautiful Life, Crouching and Magnifico, of course. I miss Amelie. My copy got carried away with the rest of my music CD collection that got stolen from my car. Amelie, Life is Beautiful, Magnifico and Pan’s Labyrinth are my big 4. I give Crouching Tiger, Hidden Dragon a 5 rating. The big 4 just have something in common – hearts and imagination. 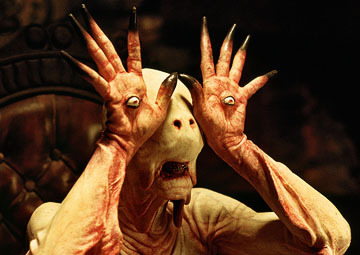 You gotta see Pan’s Labyrinth, any chance you get. ^ I’m guilty of it too. The execution of the ending is nicely done. They didn’t made it extensive. The ending scenes are already emotional enough not to make it more dramatic. It works just well to the real message the movie is trying send. It is actually my most favorite foreign movie. Overall standards, I consider Pan’s Labyrinth the best. Ow MI2, pfffttt! I watched that darn thing in the theater and regretted it. Such waste. I consider it one of the worst movie of all time. I just find those face-changing charade too convenient. Will check all three. Hopefully, Blockbuster has those movies. ^ Hey! Thanks for the visit. I was going to comment to your blog, but I’m guessing you’re busy being freshly pressed. Make sure to check out my reviewS of The Dark Knight. Christopher Nolan is ….. bow. No Trainspotting??!! (I’m a wee morbid) your blog good stuff! to the point no fakin’! Oh No, abbyrae33. The ones I listed are movies not spoken in English language. But hey to the yeah! Trainspotting is one of the best British film ever made. Also love the hilarious “Death at a Funeral” which now has an American version. Pfft! I haven’t seen it but …pffft! Ohmygoodness, and I can’t believe I forgot to mention Children Of Heaven….that movie is so touching. There are a couple others i have at home that i cannot, for the life of me, remember the names of. I’ll get back to you on that…. Valentin, The Road Home and Children of Heaven … check, check and check. Will visit Blockbuster and scroll through Netflix selection. Thanks. Yay I’m glad to see many of my favorites on your list, too! I almost nearly listed Amelie on my “favorites” list. 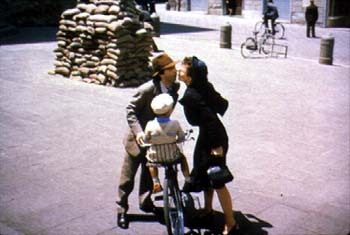 It is a wonderful, sweet, and enchanting movie. 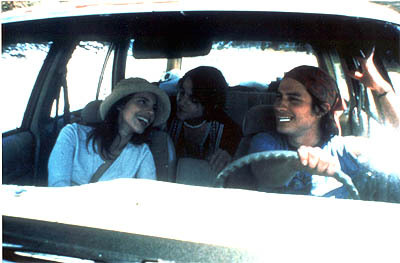 The only one I didn’t appreciate was City of God, and now I suspect that if I watch it again, I will really enjoy it! Sometimes you just have to wait a bit until you have aged enough in order to enjoy a film.